165R15 is a tyre often fitted to the Volkswagen Beetle. Fitting Michelin 165HR15 XAS will improve the handling of the Beetle. The 165R15 Michelin XAS would also be an excellent tyre for Porsche 356, Porsche 901, Porsche 912, and early Porsche 911. TR5 and TR6 had the 165HR15 Michelin XAS offered as an original equipment tyre. They would be perfect for an MGA twin cam, Peugeot 404 and were fitted to the rear of Citroen DS21 and Citroen DS23. Back in the day Michelin sometimes called this XAS tyre a 165HR380, 165R380 or 165-380.  A Michelin 165HR380 XAS is simply a Michelin 165HR15 XAS (or 165R15 Michelin XAS) but with the 15 inch rim size described in millimetres. Triumph at this time realised how much better the XAS was than tyres they previously used. 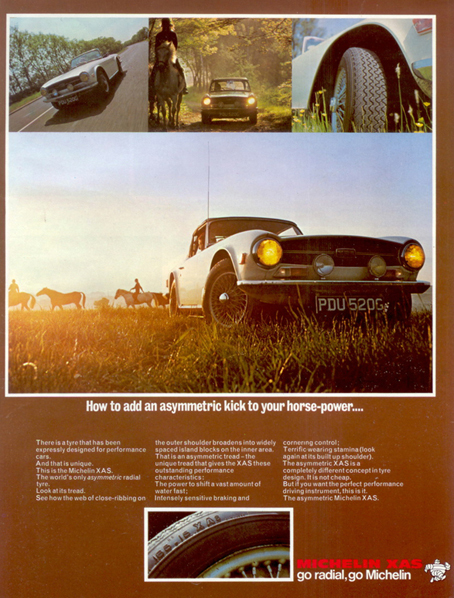 This advert shows the 165HR15 XAS on the TR6. It is still the best tyre for the car. Triumph could have fitted wider low profile tyres but they were aware it would spoil the handling and the stuck with 165HR15. Interestingly around the same period they took the Triumph Stag off 185HR14 tyres and fitted 175HR14 Michelin XAS, lowering the tyre size. Many Triumphs are over tyred. Longstone Recommend sticking to a 165HR15. The Overall Diameter of the 165 HR 15 Michelin XAS is 646 mm and the width is 167 mm. For more information on the 165 HR 15 Michelin XAS please see below or call +44 (0) 1302 711 123.